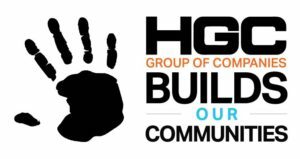 HGC Construction is dedicated to delivering the highest quality product to our customers and giving back to our neighbors and surrounding communities. We are committed to a culture of safety, quality, community, and sustainability. Our commitments are part a key ingredient to our culture and extend into the communities in which we work and live. At HGC Construction safety is more than a priority, it is a fundamental value. Priorities can change, but our values never waiver – such as our commitment to safety. This culture of safety starts with ownership — leading by example. Starting with our Executive Staff, to each and every one of our employees, a never-ending focus on safety is at the heart of what we do. HGC’s outstanding safety record stems from our strict safety requirements and continual supervision. All HGC personnel complete a minimum of 10 hours OSHA training. Lead carpenters, project managers, foremen, and superintendents all complete 30 hours of OSHA training. Field personnel volunteer their own time to gain equipment safety training and first aid and CPR certifications, as HGC promotes employee safety. Our Drug-free Workplace Program is certified level L1 by the Ohio Bureau of Workers’ Compensation. Our EMR rating is one of the lowest in the industry. Our results: No time lost through worksite injuries—zero! What is the Voluntary Protection Program? OSHA’s Voluntary Protection Program (VPP) status is awarded only to those companies demonstrating excellence in safety and health, as determined by a rigorous application process. VPP companies are committed to employee protection beyond the requirements of OSHA standards – with participants implementing comprehensive systems to reduce occupational hazards and prevent employee injuries and illnesses. As a result, the average VPP company has a lost workday incident rate at least 50 percent below the industry average. This gives HGC clients the ultimate reassurance that their project will be completed quickly, efficiently and right on time – by a crew operating at full strength. Clients have peace of mind knowing they are working with a company that upholds safety excellence as a way of life. HGC’s Culture of Quality is more than an idea used to describe our product or persuade a client to hire us. It is a foundation of HGC and is driven by a responsibility to our clients, our employees and our community. HGC is an organization of seasoned professionals who manage risk through time tested processes and technologies. Our protocol provides for checks and balances, transparency, communication and a spirit of doing it right. Our process guides and audits the field staff to ensure a safe work environment that reduces incident and impact to customers and employees and preserves the success of each project we complete. Our goal is to meet and exceed expectations with integrity and innovation. When we say we’re an active part of the communities we serve, we really mean it. Many charitable organizations benefit from the generosity of our team members year after year. We donate, walk, ride, run and sponsor fellow associates, clients, family members and general causes. We take our commitment to community very seriously. Many of us play active roles in the community serving as board members, coaches, event coordinators, professional organization members and the list goes on. A dedication to community involvement is just one way that HGC gives back to communities. Throughout each year, we do this through local food, toy and blanket drives as well as donating to many charities. Long before it was considered a catch-phrase or best practice, HGC practiced sustainability. Our founder Richard Huseman preserved materials discarded from one project to use whenever possible on another. This helped control costs for the company and clients. HGC’s Cincinnati headquarters sets an example to other businesses looking for energy and cost savings through sustainability. In renovating our offices, we repurposed discarded materials to create a stunning, award-winning environment. If you have the desire to tackle tough and interesting construction jobs, HGC is the place for you.